Kevin Durant had an interesting answer to why Luka Doncic faires better than the rest of the rookies in his first NBA season. 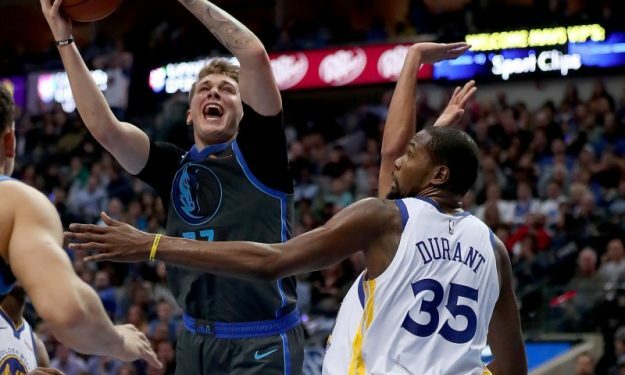 Kevin Durant has an interesting take about Luka Doncic and the reason for his performance so far in the NBA. While Durant has a point when saying that Doncic was focused on his game since an early age, the young Slovenian player was also studying for his classes during his tenure with Real Madrid. If he wanted to attend college, this season is the first year that he would have been eligible to enroll after getting his highschool diploma. However, while Doncic has completed the obligatory years of study by Spanish Law, he chose not to prepare for “selectividad”, the Spanish equivalent of the SAT exams. It’s true that under the structure of most European basketball Academies, studies can take a back seat to basketball for teenagers with talent. Contrary to the NCAA, there are no limits to the hours of practice, or academic demands for the young players, even if in the case of Real Madrid, a certain level of academic performance is obligatory.